Writing a killer LinkedIn profile not just exposes your profile to recruiters, employers and connects you to thousands of people, but it also helps in developing a long-term reputation on social media. Once you have your LinkedIn writing matched up to industry standards, you start receiving invitations from people continuously and that adds to your reputation greatly. 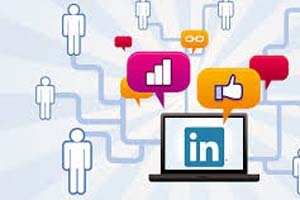 Write LinkedIn posts to be published on LinkedIn Pulse: This section offers excellent exposure as the moment you post the first article, LinkedIn automatically updates it to all your Connections. Make sure you post Links and make references to other useful websites, which could soon get reciprocated. Update your LinkedIn status on your wall every day: You must do this by posting a link to your website or web page and also attach images or files you think are appropriate. This drives a hell lot of traffic to your website in no time. Of course you might post a link to your Online Resume. Respond to every single personal message you receive on your Inbox: This might take a lot of time but it surely is worth the effort as it helps in building strong relationships. This is one of the most important LinkedIn writing tips which all leaders follow. Even if it is a request for recommendation, RESPOND with yes or no to the person and also state why you chose the action you decided to take on the request. Rewrite your LinkedIn profile every 3 months to a year: This again may sound very tiresome and maybe a bit boring? but surely, if you do this regularly, you will realize that adding new perspectives to your LinkedIn profile Summary and role descriptions consistently will actually add the much needed novelty to your profile. Utilize every section and word count limits LinkedIn provides for each section: This is again one of the significant LinkedIn writing tips that all profile writers follow. For instance, the word limit for LinkedIn Summary and LinkedIn role descriptions is respectively, 2000 characters each, which is close to 275 words. Make full use of this. Keep checking this space for more LinkedIn writing tips. Contact us on +918608657782 via Whatsapp, for availing professional LinkedIn profile writing services.